23 Macon Avenue Franklin, N.C.
Macon County Government is dedicated to hiring and retaining progressive, well-qualified and motivated employees. We offer equitable salaries and excellent benefits to talented, competent individuals who can contribute to County Government through their employment. Outstanding professional service to the public is our goal. Macon County provides it's employees an exceptional health insurance benefit, paid life insurance, County matched Local Government Retirement, longevity pay, paid holidays, vacation and sick leave, and numerous tax deferred savings and supplemental insurance plans. If you feel you can contribute to our workforce in a positive way, please review the positions listed below. 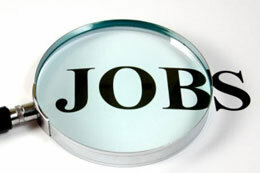 All applications for employment are taken through the North Carolina Division of Workforce Solutions. Macon County does not accept applications from any other job-posting website. (828) 349-2020 or email us - mdecker@maconnc.org. Macon County is an ADA/AA Equal Opportunity Employer. We consider applicants for all positions without regard to race, color, religion, creed, gender, national origin, age, disability, marital or veteran status, or any other legally protected status. Performs intermediate technical work installing and maintaining computer hardware, software, and peripherals, training system users, troubleshooting user problems, maintaining department networks, email, and servers, and related work as apparent or assigned. Work is performed under the moderate supervision of the Information Technology Director. Performs hardware repairs and routine maintenance on desktop computers, laptops, peripherals, fax, printers, scanners, servers, switches, routers, docking stations, mobile devices, etc. Installs and configures new hardware, software and peripherals; maintains individual workstations; updates software as required. Performs virus scans and repairs. Supports and troubleshoots general computer problems. Trains new personnel on procedures and access to computer systems. Maintains and supports department networks, email, and servers. Maintains records on licensing, warranties and service agreements. Ability to maintain an organized and accessible work area and documentation. High school diploma or GED and moderate experience with computer and network operations and data/information processing, or equivalent combination of education and experience. This work requires the frequent exertion of up to 25 pounds of force; work regularly requires speaking or hearing, using hands to finger, handle or feel and repetitive motions, frequently requires standing, walking, sitting, stooping, kneeling, crouching or crawling, reaching with hands and arms and lifting and occasionally requires climbing or balancing, tasting or smelling and pushing or pulling; work has standard vision requirements; vocal communication is required for expressing or exchanging ideas by means of the spoken word; hearing is required to perceive information at normal spoken word levels; work requires preparing and analyzing written or computer data, visual inspection involving small defects and/or small parts, assembly or fabrication of parts within arms length, operating machines and operating motor vehicles or equipment; work occasionally requires exposure to fumes or airborne particles and exposure to the risk of electrical shock; work is generally in a moderately noisy location (e.g. business office, light traffic). Valid driver's license in the State of North Carolina. Applicants must register with DWS (NC Works) AND submit a State application* (PD-107) and, if needed PD 107 continuation job sheet. Registration and PD-107 are required and may be obtained from and submitted to NC Works either online at www.ncworks.gov or in person at the address below on or before the closing date. Applicants must include 3 references with their contact information and applicants valid email address for all correspondence from the employer to the applicant. Resumes will not be considered but may be attached to PD-107. No applications are accepted at Macon County Information Technology or Macon County Human Resources. AN EQUAL OPPORTUNITY EMPLOYER/ADA EMPLOYER. This position involves protective, preventive, and investigative work in enforcing animal control laws and regulations within the county. Work involves the patrolling of designated areas of the county noting violations of animal control laws, warning citizens of violations, and picking-up and/or otherwise controlling stray animals; responding to and investigating complaints by citizens and attempting to resolve problems by informing all concerned as to the appropriate laws and regulations and negotiating satisfactory action or compliance. Work includes the control of animals by the use of physical force, traps, tranquilizer guns, etc. Employees will assist at the animal control shelter, as necessary, in the care of animals. Employees may organize and direct rabies vaccination clinics and provide information on all animal control programs. Work consists of a 40 hour work week - generally 8-5 Monday through Friday. Modification of hours is required to cover after hours calls, weekend and after hours shelter operations, assist in the event of a public health emergency, etc. Applicants must have a working knowledge of public health rabies control laws, animal collection and disposal methods and, laws and regulations relating to animal control. Considerable ability to establish and maintain effective relationships with the public, and ability to read, interpret, and explain rules, regulations and procedures is necessary. Applicants must have skill in the use of physical means, tranquilizer guns, and toxic chemicals used in capturing and destroying animals. Graduation from high school and one year of experience as an animal control officer, security officer, or related law enforcement role; or an equivalent combination of training and experience. Applicants must register with DWS (NC Works) AND submit a * State application (PD-107) and, if needed PD 107 continuation job sheet. Registration and PD-107 are required and may be obtained from and submitted to NC Works either online at www.ncworks.gov or in person at the address below on or before the closing date. Applicants must include 3 references with their contact information and applicants valid email address for all correspondence from the employer to the applicant. Resumes will not be considered but may be attached to PD-107. No applications are accepted at Macon County Human Resources or Macon County Public Health. A criminal background check will be completed before hiring. This front desk position requires good communication skills and ability to work with people with courtesy and tact, as direct patient contact in a dental setting is required. Knowledge and experience with electronic health records is a plus - particularly Eaglesoft. Employee must have excellent keyboard skills and be capable of handling financial transactions with the general public. General duties include data entry into electronic health records and financial billing systems, filing, typing, processing paperwork, verifying income and residency documentation, phone skills, appointment scheduling and, working with clinic patients. Must have organizational skills and must be flexible and able to prioritize workloads and requests. Must have ability to screen communications based on predetermined guidelines to independently respond to and, route inquiries. Must have ability to compile information based on general guidelines. Some lifting will be required. General work hours are Monday through Thursday 7:00 a.m. to 5:30 p.m. with some early morning or occasional evening and/or weekend work required to meet the public health needs of the community. Some knowledge of common health and safety precautions in working in local health departments. Ability to work with staff and patients, under supervision, as set up by departmental policies. Ability to maintain clerical records and to compile reports from these records. Ability to use sound judgment and empathy in dealing with patients. Graduation from high school and demonstrated possession of knowledges, skills and abilities gained through at least one year of office assistant/secretarial experience; or an equivalent combination of training and experience. A screening committee will review applications to select the best qualified applicants to be interviewed. Interviews will include a structured panel interview consisting of generally three (3) panelist AND a skills test. Applicants must register with DWS (NC Works) AND submit a State application (PD-107) and, if needed PD 107 continuation job sheet. Registration and PD-107 are required and may be obtained from and submitted to NC Works either online at www.ncworks.gov or in person at the address below on or before the closing date. Applicants must include 3 references with their contact information and applicants valid email address for all correspondence from the employer to the applicant. As the Nutrition Education Supervisor, this position provides administrative oversight for programs which provide comprehensive, complex nutrition services (assessment, counseling, treatment) to consumers with a variety of medical/nutritional problems. These services are accomplished through clinical education for individuals, group educational programs, certain screening services, and community based prevention interventions. Employee is responsible for program planning and evaluation, procedure development, quality assurance, organizing priorities, monthly reporting of nutrition activities, working with multi-disciplinary teams, and providing technical support for co-workers. The position is required to work hands-on with acute, chronic and terminally ill consumers who are characterized as medical high risk, including high risk prenatal consumers. This position also supervises other Nutritionists/RDs and nutrition intern students, as well administrative oversight of NC Diabetes Education Recognition Program (NC DERP). Occasional evening and/or weekend work required. Applicants must register online or in person with DWS (NC Works). www.ncworks.gov*. Complete job skills testing with NC Works. Applicants must include 3 references with their contact information and the applicants valid email address for all correspondence from the employer to the applicant. Resumes will not be considered but may be attached to PD-107. No applications are accepted at Macon County Human Resources or Macon County Public Health. A criminal background check will be completed before hiring. **Registration and PD-107 are required and may be obtained from and submitted to NC Works on or before the closing date. Duties of this advanced professional position include promotion of public health through education, surveillance, consultation, inspection, and enforcement of state and local environmental health laws and regulations. Employee will function as the supervisor for the Food, Lodging and Institutions program. The majority of the work will involve supervising program staff; acting as the program consultant to the Section Administrator and/or Health Director; representing the department on programmatic issues to local officials and business owners as directed by the Section Administrator or Health Director; training staff; conducting performance evaluations; and budget planning and management. Some work will include the inspection of food handling establishments, hotel, motel and other lodging establishments, public swimming pools, daycare centers and, migrant housing to determine compliance with current sanitation standards. Hours of work are generally 8-5 Monday through Friday with occasional evening & weekend hours and ability to be available afterhours to respond to a public health emergency. Considerable knowledge of environmental health laws, rules, and procedures, as well as a complete understanding of the concepts of public heath law. Considerable knowledge of microbiology, biology, chemistry, food science, epidemiology, soil science, entomology, and basic engineering technology as applied to environmental health practices. General knowledge of the interrelationship between socio-economic factors and environmental health concerns. General knowledge of the responsibilities of other agencies relating to environmental health and community resources. Ability to coordinate work in a specialized program area. Working knowledge of the responsibilities of other agencies involved in environmental health work. Extensive knowledge in the areas of Food, Lodging and Institutions. Ability to analyze and comprehend a wide variety of technical and administrative regulations, records, and reports. Ability to exercise sound judgment and deal tactfully with a wide range of public contacts while enforcing public health laws and regulations. Ability to motivate and educate business and property owners and the consuming public in matters related to protecting and promoting public health. Ability to present formal environmental health training programs. Ability to develop and express ideas and opinions concisely, comprehensively, and clearly in oral and written from. Ability to independently plan and schedule work activities and perform activities. Ability to apply environmental health knowledge and techniques in the investigation of environmental health problems. Two years of experience at the Environmental Health Specialist level in a health department. Necessary Special Qualification - Registered as a Sanitarian by the North Carolina Board of Sanitarian Examiners prior to employment. Submit a State application (PD-107)* and, if needed PD 107 continuation job sheet. This position is in the Family and Children's Medicaid and Work First Unit, and conducts and correctly determines the applicant's eligibility for Family and Children's Medicaid, N.C. Health Choice and Work First Cash Assistance within NC FAST. The employee may be responsible for interviewing applicants, and gathers data, obtains necessary verifications, requests medical information and inspects documents; which when verified, forms the basis for determining eligibility for any one of several public assistance programs. IMC I: Good mathematical reasoning and computational skills. Ability to communicate with clients, applicants, and the public to obtain data, and to explain and interpret rules, policies, and procedures. Ability to understand the needs and problems of clients/applicants. Ability to learn the program area of assignment and all agency programs and services which could affect the client/applicant. IMC II: Considerable knowledge of the program/areas of assignment. General knowledge of all agency and community programs and services which could affect the client/applicant. Good mathematical reasoning and computational skills. Ability to read, analyze, and interpret rules, regulations and procedures. Ability to communicate with clients/applicants, the public at large, and public officials to obtain data, and to explain and interpret rules, regulations and procedures. Ability to instruct and to evaluate the work of lower level employees. Ability to perform caseworker functions within structured time frames. College education or High School graduation and 2 years of specific experience of paraprofessional, clerical, or other public contact experience which included negotiating, interviewing, explaining information, gathering and compiling of data, analysis of data and/or performance in mathematical or legal tasks with at least one year of such experience being in an income maintenance program; or graduation from high school and three years of paraprofessional, clerical or other public contact experience which included negotiating, interviewing, explaining information, the gathering and compiling of data, the analysis of data and/or the performance of mathematical or legal tasks; or equivalent combination of training and experience. Exemplified computer proficiency is a must in this IMC II role. One year of experience as an Income Maintenance Caseworker is required for level II all others will be hired at level I with a corresponding salary grade. A screening committee will review applications to select the best qualified applicants for the administration of a structured interview. A State application PD 107 http://maconnc.org/images/pd107Fill.pdf and if needed PD 107 continuation job sheet must be submitted to DWS (NC WORKS) at the address below. You must include 3 references and an e-mail address on the application. No resumes will be considered, but may be attached to PD107. No applications are accepted at Macon County Human Resources or Macon County DSS. A Criminal Background check will be completed before hiring. This position is in the Adult Medicaid Unit and conducts and correctly determines the applicant's eligibility for several Medicaid programs and sub-categories within NC FAST. The employee may be responsible for interviewing applicants, and gathers data, obtains necessary verifications, requests medical information and inspects documents; which when verified, forms the basis for determining eligibility for any one of several public assistance programs. Position entails dental assisting work including but not limited to: assisting dental provider, developing and mounting X-rays, maintaining dental equipment and supplies, sterilization, inventory control, providing education to clients, and other related duties. May also include verbal and written instructions to patients, family, health care staff, schools and other groups in basic oral hygiene; may maintain records and recall lists, answer phone and enter appropriate data into patient electronic dental record. Minimum qualifications are completion of an approved ADA dental assistant program; full-time employment as a chair side assistant for 2 years of the preceding 5 years and allowed to perform the functions as a dental assistant under the direct supervision of a licensed dentist, and other requirements of the NC Board of Dental Examiners, X-ray training consistent with NC General Statutes. Applicants must register with NC Works. www.ncworks.gov*. Applicants must submit a State application (PD-107)* and, if needed PD 107 continuation job sheet in person at the address below on or before the closing date. Applications must include 3 references with their contact information. Applications must include a valid email address for the applicant as all correspondence from the employer to the applicant will be electronic through email. Performs routine unskilled and semi-skilled manual work in recreational facilities, athletics fields, and parks maintenance. Night and weekend work is required. Employees in this class perform manual labor involving a variety of parks and recreational maintenance tasks. Work involves the use of a variety of tools and light equipment. Work includes performing horticultural practices in the parks, repairing playground equipment, preparing athletic fields, and cleaning and maintaining recreational buildings. The employees are subject to working in both inside and outside environments and exposure to various hazards such as loud noises, vibration, moving mechanical parts, electrical current, and chemicals. Duties may expose employees to human body fluids and thus the work is subject to OSHA requirements on bloodborne pathogens. Work is performed under supervision of the Park and Recreation Maintenance Supervisor and is evaluated through observation and inspection to determine the thoroughness in carrying out assigned duties. Cleans recreational facilities and sets up rooms in the Community Center. Prepares athletics fields for sports and team events; mows, drags, and lines ball fields. Cleans parks, picks up trash, and cleans bathrooms. Mows grass, runs weed eaters, plants grass and trees, and performs other horticultural practices in the parks. Rakes and mulches leaves; trims shrubbery and hedges; edges sidewalks and drives. Maintains cleaning or grounds equipment. Assists in the maintenance of picnic shelters and playground equipment. Sets up rooms for various meetings and activities. Working knowledge of the methods and techniques applied in unskilled manual labor and semi-skilled maintenance work. Working knowledge of the standard practices, material, tools, and equipment utilized in the maintenance of buildings and of grounds. Working knowledge of standard hand tools, operation of light equipment, and materials used in assigned work. Working knowledge of the occupational hazards and applicable safety precautions associated with assigned work. Some knowledge of basic horticultural, carpentry, plumbing, and custodial practices. Ability to work cooperatively as a team member, work productively without close supervision, and respond courteously to citizens. Must be able to physically perform the basic life operational functions of climbing, balancing, stooping, kneeling, crouching, crawling, reaching, standing, walking, pushing, pulling, lifting, feeling, talking, hearing and repetitive motions. Must be able to perform heavy work exerting up to 100 pounds of force occasionally; and/or up to 50 pounds of force frequently; and/or up to 20 pounds constantly to move objects. Must possess the visual acuity to operate light equipment such as the mowers and vacuum cleaners, and small trucks in a safe manner. Ability to read and write and any combination of education and experience that produces the required knowledge, skills, and abilities listed above; preferably previous experience in general grounds or parks maintenance work. by the stated closing date and time. Applicants must include 3 references with contact information and a valid personal email address as all correspondence from the employer to the applicant will be routed electronically. Resumes will not be considered. Approximately 25-30 hours a week. Watch swimmers, teach swim lessons, patrol pool deck, clean bathrooms and pick up trash in and around the pool area. Main objective is to maintain a safe experience for patrons to the Macon County Veterans Memorial Recreation Park Pool. Teach swim lessons to various ages/abilities. Performs miscellaneous job-related duties as assigned (cleaning locker rooms, working register/front gate/etc...). Accepting of diversity in religions, ethnicity, culture, and race. Able to treat all patrons and staff fairly. Provides delegable functions as specified by the NC Board of Dental Examiners for a Dental Hygienist. Performs technical dental work in examining, cleaning, prophylaxis, application of preventive procedures, and instructing on the general care of the teeth. Hours of work are generally 7:00 a.m. - 6:00 p.m. Monday through Thursday with occasional evening & weekend hours. Considerable knowledge of and skill in the application of the techniques and practices of dental hygiene. Ability to work with other professional and support personnel in the performance of duties typical of the dental hygienist and assisting with other duties which may be of a lesser complexity. Graduation from an approved two-year program of dental hygiene. Licensed to practice as a dental hygienist in North Carolina. Certified as a Public Health Dental Hygienist desired. Applicants must register online or in person with NC Works. www.ncworks.gov*. This position serves as the Program Integrity Coordinator for the department. The primary function of this position is to provide management oversight and leadership for Quality Assurance, Accreditation, Strategic Planning, Program Evaluation, Grants Review, Risk Communication, and Marketing. This position reports to the Population Health Section Administrator and works in conjunction with the Health Director, Assistant Health Director, Medical Director and other Leadership Team Members to assure the delivery of best practices in public health care/service. Considerable knowledge of the principles and practices of public health and public health education activities. General knowledge of modern educational theory and techniques in the field of public health education; journalistic principles and methods of preparing subject matter in the promotion of public health activities; and, display techniques and skill in the arrangement of exhibits. Ability to work effectively with people on all educational levels and to maintain effective working relationships with local health departments, community agencies, and the public; and, ability to write and speak effectively and to stimulate interest and cooperation among various groups in carrying out a program in public health education. A Bachelor's degree in public health education and one year experience in public health education or related field or, a Bachelor's degree in a health-related field and two years experience in public health education; or an equivalent combination of training and experience. This position provides professional social work services to consumers in their home or other setting, primarily related to case management services to children ages 0-5 who are at risk or diagnosed with special needs. Services involve evaluating the consumer's situation and his/her ability to deal with it, developing a social history, psychosocial assessment, service plan and/or treatment plan and follow-up, outreach and referral. Employees address such problems as adjustment to illness or disability, financial concerns; socialization issues of the socially handicapped or those debilitated by situation or illness. Employees may provide information to and confer with schools, natural parents and/or foster parents, DSS, CDSA, Mental Health or other involved agencies or service providers on habilitation plans, behavior management, and other problem areas or needs. Employee must have the ability to independently demonstrate and implement techniques of social work care and outreach in the community as needed. Considerable knowledge of social work principles, techniques, and practices and their application to individual casework, group work and community problems. Knowledge of governmental and private organizations and community resources. Knowledge of laws, regulations and policies which govern the program. General knowledge of medical terminology, disease processes and their treatment is required in certain programs or settings. Skill in establishing rapport with a client and applying techniques of assessing psychosocial, behavioral and psychological aspects of client's problem. Ability to establish and maintain effective working relationships with administrative superior members of case load and their families, and with civic, medical, social and religious organizations. Ability to train or instruct lower-level social workers, students, or interns. Ability to express ideas clearly and concisely and to plan and execute work. Bachelor's degree in social work (BSW, BA or BS in social work); or master's degree in social work (MSW, MA or MS in social work); from a Council on Social Work Education accredited social work degree program. Hours of work are generally 8-5 Monday through Friday with occasional evening & weekend hours. This position includes managing dental operations, supervising and training dental assistants, supervision of dental hygienists and the performing of general dentistry. Work requires independent professional responsibility and is performed under the general supervision of the Population Health Section Administrator. Hours of work are generally 7:00 am - 6:00 pm Monday through Thursday with occasional evening & weekend hours. Thorough knowledge of modern dentistry and recent developments in the field of dentistry. Some knowledge of community health problems. Ability to perform dental work and treatments involved in the control of mouth diseases among adults. Ability to establish and maintain effective working relationships with community partners and agencies. Ability to perform dental work of a professional and independent nature. Ability to supervise and train dental staff. Graduation from an approved school of dentistry and license to practice dentistry in North Carolina. Loan Repayment and/or Incentives may be available to selected candidate. Applicants must register with NC Works AND submit a *State application (PD-107) and, if needed PD 107 continuation job sheet. Registration and PD-107 are required and may be obtained from and submitted to NC Works either online at www.ncworks.gov or in person at the address below on or before the closing date. Applicants must include 3 references with their contact information and applicants valid email address for all correspondence from the employer to the applicant. Performs intermediate skilled technical work providing Intermediate level emergency medical care, maintaining records and files, preparing reports, and related work as apparent or assigned. Work is performed under the moderate supervision of the EMT Paramedic Supervisor. Applications from Paramedic-level certificate holders will be accepted as well. NOTE: There are two full-time openings available. Candidates with paramedic level certification are encouraged to apply. Provides emergency and non-emergency care to residents and visitors of the County. Operates equipment and administers first aid. Transports victims to emergency care facility. Responds to emergency calls which might require advanced life support. Provides emergency medical care in accordance with established guidelines and written and verbal instructions from physicians. Determines extent of illness or injury and establishes priorities for required care. Transmits vital patient information and telemetry data to receiving medical care facility. Observes patient in route and administers additional care as needed. Completes and files documentation on calls. Inspects and performs preventive maintenance on assigned apparatus and equipment; assists in cleaning station and grounds. Participates in continuing education activities and maintaining certification hours. Ability to establish and maintain and maintain effective working relationships with associates and the general public. Education and Experience High school diploma or GED and minimal experience as an Emergency Medical Technician/intermediate, or equivalent combination of education and experience. Physical Requirements This work requires the regular exertion of up to 10 pounds of force, frequent exertion of up to 50 pounds of force and occasional exertion of up to 100 pounds of force; work regularly requires speaking or hearing, using hands to finger, handle or feel and repetitive motions. Frequently requires stooping, kneeling, crouching or crawling, reaching with hands and arms, pushing or pulling and lifting and occasionally requires standing, walking, sitting, climbing or balancing and tasting or smelling. Work requires close vision, distance vision, ability to adjust focus, depth perception, color perception, night vision and peripheral vision. Vocal communication is required for expressing or exchanging ideas by means of the spoken word and conveying detailed or important instructions to others accurately, loudly or quickly. Hearing is required to perceive information at normal spoken word levels and to receive detailed information through oral communications and/or to make fine distinctions in sound. Work regularly requires exposure to outdoor weather conditions and exposure to blood borne pathogens and may be required to wear specialized personal protective equipment, frequently requires exposure to toxic or caustic chemicals and occasionally requires working in high, precarious places, exposure to fumes or airborne particles and exposure to the risk of electrical shock; work is generally in a moderately noisy location (e.g. business office, light traffic). Special Requirements Possession of North Carolina EMT Intermediate and CPR certifications upon hire. Valid driver's license in the State of North Carolina. Applicants must register with NC Works AND submit a * State application (PD-107) and, if needed PD 107 continuation job sheet. Registration and PD-107 are required and may be obtained from and submitted to NC Works either online at www.ncworks.gov or in person at the address below on or before the closing date. Applicants must include 3 references with their contact information and applicants valid email address for all correspondence from the employer to the applicant. Resumes will not be considered but may be attached to PD-107. No applications are accepted at Macon County Human Resources or Macon County EMS. A criminal background check will be completed before hiring. Provides emergency and non-emergency care to residents and visitors of the County; operates equipment and administers first aid; transports victims to emergency care facility; documents findings. General knowledge of the principles and techniques of emergency care, including diagnosis, proper treatment and automobile extraction and transportation; general knowledge of the reading of electrocardiograms; general knowledge of the principles of anatomy, physiology and chemistry in relation to the respiratory and circulatory systems; general knowledge of the street system and geography of the County; ability to understand and follow oral and written instructions; ability to keep simple records and prepare reports; ability to establish and maintain and maintain effective working relationships with associates and the general public. High school diploma or GED and minimal experience as an Emergency Medical Technician/intermediate, or equivalent combination of education and experience. This work requires the regular exertion of up to 10 pounds of force, frequent exertion of up to 50 pounds of force and occasional exertion of up to 100 pounds of force. Work regularly requires speaking or hearing, using hands to finger, handle or feel and repetitive motions, frequently requires stooping, kneeling, crouching or crawling, reaching with hands and arms, pushing or pulling and lifting and occasionally requires standing, walking, sitting, climbing or balancing and tasting or smelling. Work requires close vision, distance vision, ability to adjust focus, depth perception, color perception, night vision and peripheral vision. Vocal communication is required for expressing or exchanging ideas by means of the spoken word and conveying detailed or important instructions to others accurately, loudly or quickly; hearing is required to perceive information at normal spoken word levels and to receive detailed information through oral communications and/or to make fine distinctions in sound. Work requires preparing and analyzing written or computer data, visual inspection involving small defects and/or small parts, using of measuring devices, operating machines, operating motor vehicles or equipment and observing general surroundings and activities; work regularly requires exposure to outdoor weather conditions and exposure to bloodborne pathogens and may be required to wear specialized personal protective equipment, frequently requires exposure to toxic or caustic chemicals and occasionally requires working in high, precarious places, exposure to fumes or airborne particles and exposure to the risk of electrical shock. Work is generally in a moderately noisy location (e.g. business office, light traffic). Possession of North Carolina EMT Intermediate and CPR certifications upon hire. Valid driver's license in the State of North Carolina. You must include 3 references and an e-mail address on the application. No resumes will be considered, but may be attached to PD-107. No applications are accepted at Macon County Human Resources or Macon County EMS. Performs intermediate semi-skilled work transporting citizens to designated sites, assisting with boarding and exiting vehicle, collecting fees, maintaining the vehicle, and related work as apparent or assigned. Work is performed under the moderate supervision of the Transit Operations Supervisor. Note: This is a seasonal position that will last from approximately mid-February of 2017 until late May of 2017. It will also have a fluctuating work week that will vary from 32 to 40 hours per week. Operates transit vehicle on an assigned route and schedule. Performs daily inspections of vehicle; reports defects and/or maintenance needs. sports citizens, children and the physically and mentally disabled to doctors, on business or shopping trips, outings, points of interest, employment and daycare; returns them to their homes. Assists passengers entering and leaving the vehicle, when necessary; carries packages for passengers when necessary; operates wheel chair lift. Collects fares and transfers; prepares trip records regarding fares, mileage, passengers, times, etc. Provides information and directions to passengers and the general public. Operates two-way radio and/or cell phone; reports unusual traffic conditions, bus condition, passenger emergencies or other problems. High school diploma or GED and moderate experience in operating a public transportation vehicle and working with the public, or equivalent combination of education and experience. This work requires the frequent exertion of up to 10 pounds of force and occasional exertion of up to 25 pounds of force; work regularly requires sitting, speaking or hearing and using hands to finger, handle or feel, frequently requires reaching with hands and arms, pushing or pulling and repetitive motions and occasionally requires standing, walking, climbing or balancing, stooping, kneeling, crouching or crawling and lifting. Work has standard vision requirements; vocal communication is required for expressing or exchanging ideas by means of the spoken word; hearing is required to perceive information at normal spoken word levels; work requires visual inspection involving small defects and/or small parts, operating machines, operating motor vehicles or equipment and observing general surroundings and activities. Work regularly requires working near moving mechanical parts, frequently requires exposure to fumes or airborne particles and exposure to outdoor weather conditions and occasionally requires exposure to extreme heat (non-weather), exposure to the risk of electrical shock, exposure to vibration and exposure to bloodborne pathogens and may be required to wear specialized personal protective equipment; work is generally in a loud noise location (e.g. grounds maintenance, heavy traffic). Drug and alcohol testing shall be conducted in accordance with local, State and/or Federal regulations. Valid commercial driver's license with P endorsement in the State of North Carolina, or the ability to obtain within 60 days of hire. and must be submitted on or before the closing date. Please include 3 references with contact information and a valid email address for all correspondence from the employer to the applicant. Resumes will not be considered.